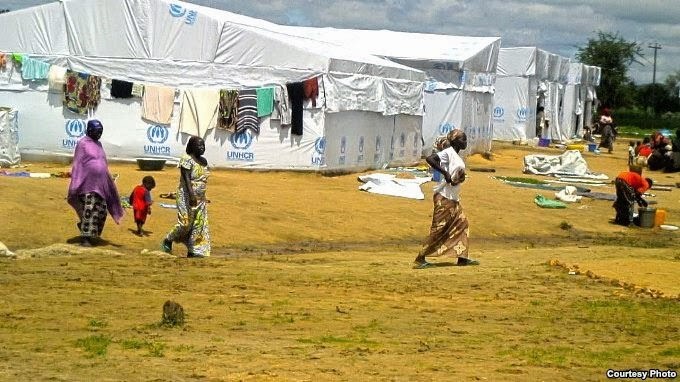 Home > Federal Government > Nigeria > Politics > Refugees > War victims > "No more refugees camp in Nigeria"
"No more refugees camp in Nigeria"
The Federal Government said there was no more refugees camp in Nigeria, attributing the development to the fact that there was no more war in Liberia or Sierra Leone. Mrs Hadiza Sani-Kangiwa, the Commissioner and Chief Executive Officer of National Commission for Refugees, Migrants and Internally Displaced Persons (NCFRMI), announced this in Lagos on Friday. She spoke at the donation of rice, noodles milk and clothes to the Lagos State Emergency Management Agency (LASEMA). As a result, she said the government had expanded the mandate of the commission to include Internally Displaced Persons (IDPs) since refugees were gradually diminishing. She explained that the presentation of the items was part of its efforts to improve the emergency status of displaced persons in Lagos state. Members of Lions Club of Nigeria collaborated with the commission to make the presentation. Sani-Kangiwa was represented by Mrs Margaret Ukaegbu, Coordinator of the South West zone of NCFRMI. She promised that the zone would assist states, especially Lagos, whenever the commission was called upon. Dr Aderemi Desalu, Permanent Secretary, Ministry of Special Duties, who received the items, said it was touchy when people showed compassion on children. Desalu urged people not to turn blind eyes to the problem of others and should not hesitate in showing kindness when it was within their power to do so. He added that the situation of IDPs was unpredictable and the idea was to be ready to react. He commended the commission’s idea to have an agency or body that looked at internally displaced people because it was a critical part of the society.